Tourists visiting one of Britain's favourite musical landmarks, to recreate The Beatles' Abbey Road crossing pose, could see the addition of a "lollipop lady". Westminster Council has raised safety fears over the "thousands and thousands" of people who visit the zebra crossing in St John's Wood, north London. 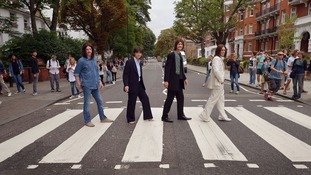 Fans are putting themselves at risk of frustrated drivers who often struggle to make it over the crossing because of the constant stream of pedestrians attempting to recreate the image, made famous by the band in 1969. 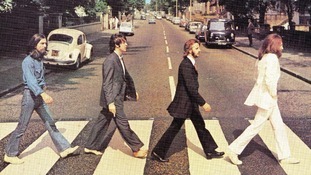 The discussions emerged as fans gathered at the crossing today to celebrate exactly 45 years since the album cover photograph was taken. 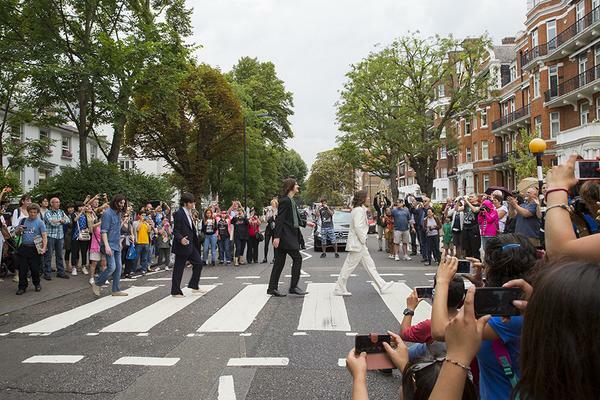 Fans gathered on the Abbey Road zebra crossing at 11:35 today to celebrate 45 years to the minute The Beatles had their icon photo taken. An area of east London is experiencing an unexpected influx of tourists. Abbey Road DLR Station in Newham is proving a magnet for Beatles fans keen to pay homage to their heroes. Unfortunately for them they are in fact more than ten miles from where they think they are. London Tonight spoke to these tourists at the station in West Ham. Confused tourists are arriving in their dozens at Abbey Road Station in West Ham, expecting to find the crossing made famous by The Beatles. The Abbey Road station on the Docklands Light Railway was only opened last year. Transport for London says it has no intention to re-name it.